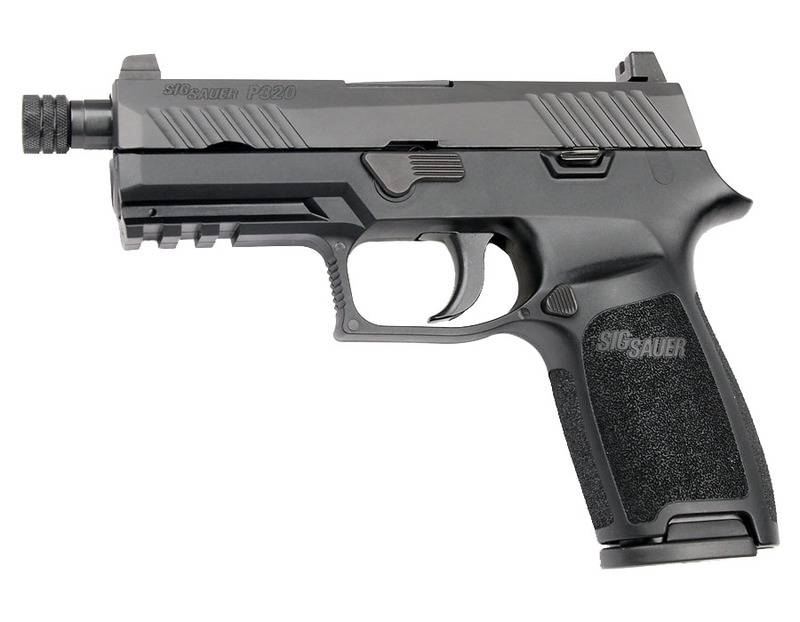 Sig Sauer P320 Carry 9mm with tall suppressor night sights, threaded barrel, Nitron finish, Striker Fired DAO Trigger, and medium grip module. Comes with three 17RD magazines. Carry model features the full size 17RD grip.